Food Vendors: Mrs. P and Me and Canta Napoli will be serving authentic German food along with Completely Nuts. 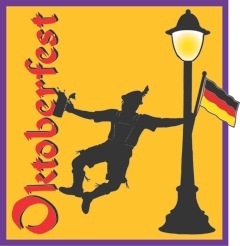 Phenix German Band performs 6-11 p.m. German dance group, Noch Einmahl, will perform throughout the night. Family Fall Fest – 1-4 p.m. The MPDMA is looking for donations of old clothes for the Fall Fest’s “Make your own Scarecrow” craft. Help them by collecting pants, shirts, hats – any clothing you want to rid from your closet – and dropping them off at The Wildbird Shack – 854 E. Northwest Highway. Phenix German Band performs 6-11 p.m.
Like our Facebook page facebook.com/oktoberfestmp and follow us on Twitter @oktoberfestmp.